6 months later, where are the service centers? Promises are just efforts to sell cars. Demand still doesn't seem very strong. Back in October, I discussed how Tesla (TSLA) CEO Elon Musk finally realized that the company's service was a big problem for consumers. Between a lack of service centers and the lack of parts availability, repairs are one area where Tesla is not very impressive. At that time, the CEO promised some large improvement in the coming months (seen below), but his timeline has ended and little progress has been made. Perhaps it is time for a capital raise so that the company can build out enough infrastructure to satisfy all of its customers' needs. During that week where the tweets were sent out, I took a look at Tesla's US service centers page. 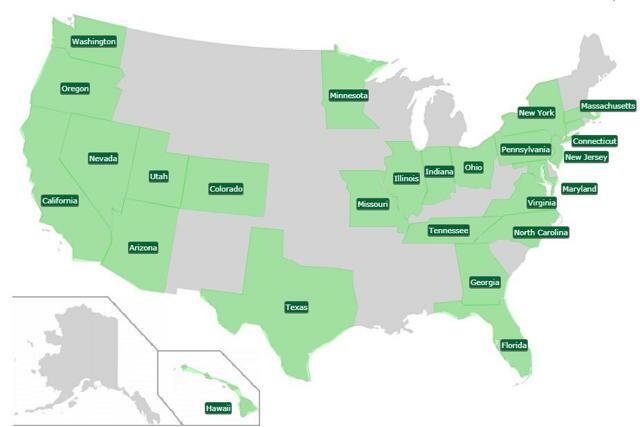 The company listed 75 service centers across 25 states, which is half of the number of states in the US. Tuesday marks six months from the day of the original tweet, and the company now lists 82 service centers on the US page. However, there have been no additional states to get one, meaning that half of the country still doesn't have a service center in the state. Does the following map convince you that Tesla has adequate coverage in all regions of North America? This service center issue is a problem that's gone back for a number of years. As I detailed in the original October 2018 article, Tesla has failed to meet growth targets in service centers for some time now, as well as superchargers if you want to look at other areas of customer support. Back in 2016, the company cut its sales and service center growth forecast numerous times, and that was even after all of those hundreds of thousands of Model 3 deposits were put down. You might normally think that with all of this expected demand, Tesla would be in a rush to build out its infrastructure. However, the company has cut its capex forecasts numerous times, so the problem has snowballed a bit over the year. Part of this has to do with terrible financials, which have plagued the company since its start. The company has raised billions through equity and debt offerings that have led to plenty of dilution and a huge working capital deficit in the balance sheet. There are so many questions regarding the company's financial situation that management had to say in the most recent production and delivery report that it had sufficient cash on hand. This, for a company that was valued at over $50 billion very recently, is not a good sign. I, like many others out there, have wondered why the company has not had another capital raise. A few billion in cash could go a long way in helping the company solve a number of problems. The problem is that this isn't an isolated issue. As I've detailed in this extensive list, Tesla and Elon Musk continue to make numerous promises that are never kept, or issue financial guidance that turns out to be quite off. 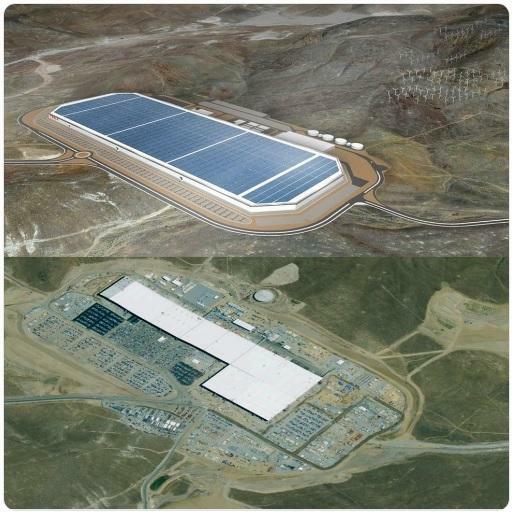 Perhaps the biggest example of this can be seen in the images below, where Tesla's Nevada gigafactory is supposed to have this massive solar array on top, but yet a few years later almost nothing is done. It was just last week where TechCrunch used the top image in its article, despite the building looking nothing like that futuristic display in the real image on the bottom. The top image gets used quite often in web articles, but obviously it is not accurate to do so. The question in the near term is can things get any better for consumers? As I pointed out last week, Q2 deliveries seem to be off to a very sluggish start, following an already awful first quarter of the year. If Tesla's financial situation is as bad as some think it is, then the company likely will not be rushing to build out more service centers than perhaps those already being built or planned. It seems like the current need is to build out production facilities as well as delivery infrastructure, especially since a number of stores are being closed as Tesla moves to a mostly online sales model. Tesla's China factory is being built out currently, with the hope it can start producing a decent amount of vehicles later this year. I brought up the service center issue today not just to highlight a Tesla failure, but to bring up the issue of trust. If the company cannot serve its customers very well, how much trust should investors have in management? Currently, investors are waiting for next week's earnings report to hear how the company will get to its yearly delivery target after such a low sales quarter in Q1. There have always been those that were skeptical of this management team, so adding more failures to the list doesn't help. In the end, six months have come and gone since Elon Musk promised to greatly increase Tesla's service center coverage. Unfortunately for consumers, the number of those locations has barely budged, leaving half of the states in the US without one. This promise was made as Tesla had just announced the mid-range Model 3, so it likely was an effort to push sales. Unfortunately for investors, there are still a number of sales problems, so another failed promise to satisfy customers likely won't help the situation moving forward. Perhaps a capital raise could allow Tesla to build out the infrastructure it truly needs to serve its customers, even if it results in a little more debt or some dilution. Additional disclosure: Investors are always reminded that before making any investment, you should do your own proper due diligence on any name directly or indirectly mentioned in this article. Investors should also consider seeking advice from a broker or financial adviser before making any investment decisions. Any material in this article should be considered general information, and not relied on as a formal investment recommendation.